Fixed speed low voltage control hoists are the most prevalent type used in the industry. 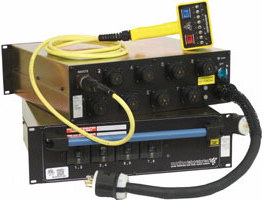 Our systems operate the low voltage control circuit using a handheld remote or onboard control panel, based upon model and form factor. We can accommodate from one to thirty-two hoists using standard handheld remotes and larger group assignment can be accomplished using HMI touch screen and SCADA technology. A proprietary and time proven relay board is used to provide up and down commands to the chain hoist. Each unit can be built with a variety of input connectors dictated by the capacity of the unit and voltage requirements of the hoists. These include Twist-Lock, CS 50A, Cam-Lok and Pin & Sleeve. 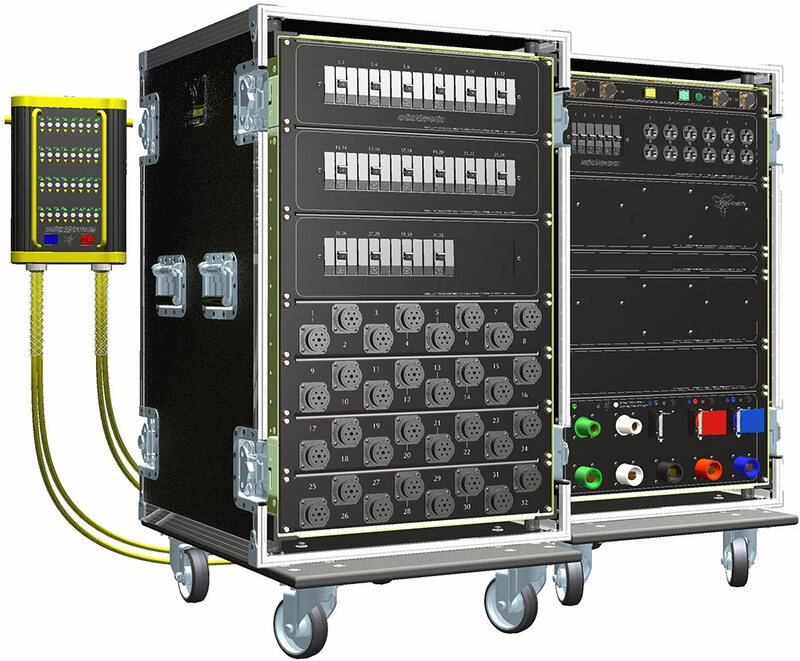 Motion Labs modular approach allows output section adaptability to the user’s requirements and can be manufactured with P7, P14, C7, Dual-Twist, and multi-circuit options. 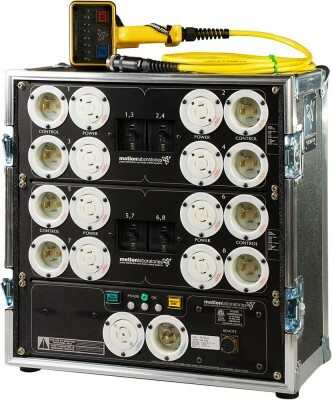 Your application is important, so our controllers come in a variety of configurations and form factors such as ATA style rack enclosures, self-contained 19” rack mounted enclosures, truss mounted options or as standalone devices. Each controller is built with system integration and scalability in mind. Adding load monitoring, overweight shutdown, position control, e-stop linking or any other safety related function can be accomplished by simply inserting one of our accessory devices into the control path.